The events will air on Fox’s new live-streaming venture Caffeine which it invested £100 million in last September. The US broadcaster and production studio is using football to drive its fledgling platform into new US markets and says it plans to establish a joint Caffeine Studios venture. Fox’s coverage under the new deal began with this weekend’s FIFA eNations Cup in London and will culminate in the FIFA eWorld Cup in July and August. Coverage was aired live on on FS2 and rerun later on FS1, as well as being available on the Fox Sports app. “This is a great opportunity to expand our ongoing connection with FIFA and our esports presence together with Caffeine,” said Joe Franzetta, FOX Sports VP of rights and business relationships. Spreading the audience reach, US fans can live-host their own streams of the tournaments to watch with friends and other fans. EA SPORTS FIFA Competitive Gaming Commissioner, Brent Koning, said the coverage will only accelerate growth. 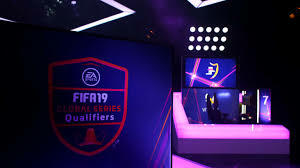 “Building upon last season’s success, the EA SPORTS FIFA 19 Global Series is engaging and entertaining esports and football fans around the world. The superstars of competitive FIFA are creating a compelling narrative of competition and rivalry, fuelled by amazing gameplay and skill on the virtual pitch.